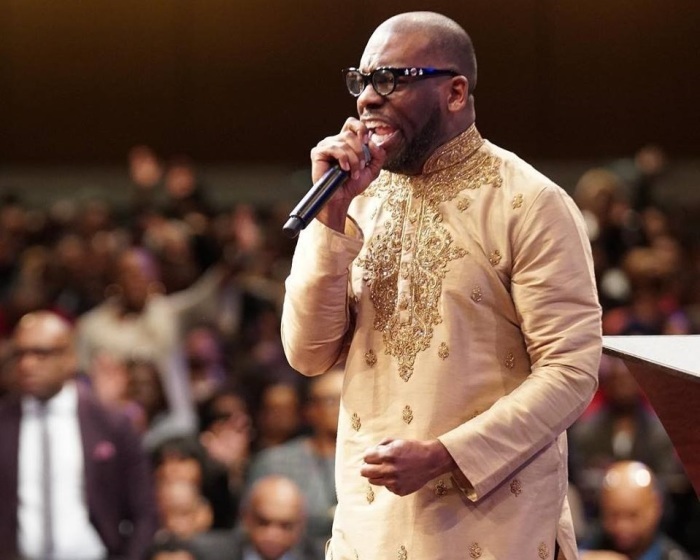 New Birth Missionary Baptist Church in Lithonia, Georgia, recently came together to provide approximately $300 each to 28 federal workers from their congregation affected by the ongoing partial government shutdown, Pastor Jamal Bryant said. “This has been the longest period in our nation’s history of the government being closed. Last Sunday, we blessed the furloughed workers of New Birth and impromptu we raised an offering for 28 of them and gave all of them $300 apiece – a small drop in the bucket,” Bryant first revealed in a Facebook Live broadcast Friday. “Our prayers are overwhelmingly sent to the 800,000 people who are furloughed. Who are working tirelessly, sacrificing their time, their energy and their intellect and are not receiving any compensation,” he added. A CNN report noted that as the impasse over ending the shutdown drags on, the Trump administration has been designating more of the federal government "essential," or excepted from the furlough, which gets government employees back to work but without a paycheck. Barely a month since taking over the helm of the 10,000-member church however, Bryant said he prayed that legislators will have an “epiphany” about how the partial shutdown is affecting workers. He further noted that his church is working with supermarkets in Atlanta to assist furloughed workers. “This week we are moving tirelessly with the area supermarkets in Atlanta, that they will provide for us grocery stipends, for those who are being furloughed so that their families and their children, dependent parents, might still be able to eat,” Bryant said. Speaking Wednesday with WSBTV, Bryant said it is during times of crisis such as the shutdown, the church needs step in to help. “When the government shuts down is when the church needs to be wide open,” Bryant said. In video from the Jan. 6, event where he called up emotional furloughed workers, he said that he was left sleepless by the shutdown and that God told him he need to do something to help. "I ain't waiting on the Democrats or the Republicans," Bryant said. He then asked members to dig in their pockets and give to those not getting paid. "I was absolutely blown away. I've only been in here a month. I had no idea that compassion was this high in Atlanta," Bryant told WSBTV. Saturday, Trump offered a temporary extension of DACA in exchange for border wall funding to end the shutdown. Christian leaders had mixed reactions to the proposal. Many faith-based organizations and churches have been stepping up to assist furloughed workers in recent days. On Tuesday, vocal Christian family values advocate and New Orleans Saints tight end Benjamin Watson urged Trump to find a more “efficient way” to negotiate for funding for his controversial border wall without making American families “collateral damage” in his fight for it. “American families should not be collateral damage in an internal war over funding for a border wall. Whatever the final conclusion, as our commander in chief, I implore the president to consider those most impacted by this partial shutdown. There must be a more efficient way,” Watson tweeted to his almost 95,000 followers on Tuesday night. Did Eddie Long’s son apply for New Birth senior pastor job that went to Jamal Bryant?